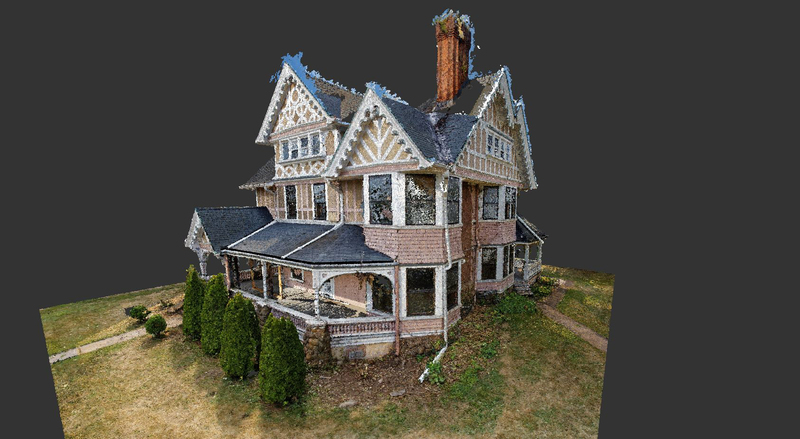 Its admittedly pretty fun to fly around a house once you have the point cloud made, taking “pictures” that you couldn’t have snapped when you were actually on site without the use of a jetpack! This is a house in West Haven, CT. 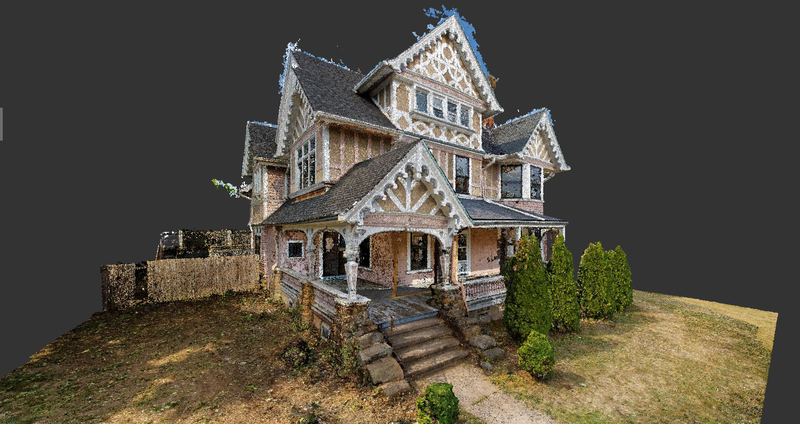 This entry was posted in 3-D scanning, 3D scan, architecture, photogrammetry, point cloud. Bookmark the permalink.